This is a tremendous value knife block set from BergHOFF. 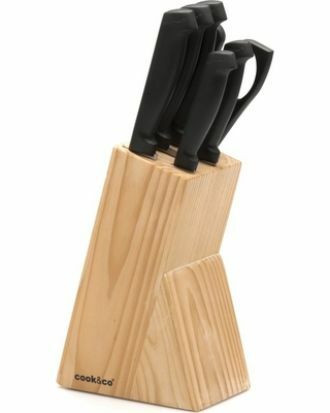 There are six knives, all with stainless steel blades, and a set of poultry shears (kitchn scissors), as well as the wooden block to keep them tidy and safe. The ergonomic handles make the knives comfortable and easy to use.